How do we calculate pipe deterioration rates accurately with respect to the pipe environment? Professor Robert Melchers of the University of Newcastle is leading this Activity. One of the foremost requirements of pipe failure prediction is the accurate estimation of pipe deterioration rates. 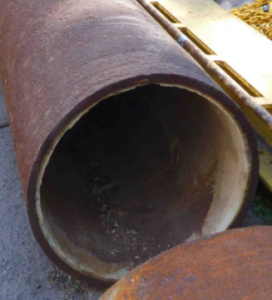 Most ferrous pipes deteriorate because of various forms of corrosion while asbestos cement pipes degrade through cement leaching. Methods currently available for estimation of pipeline deterioration are purely empirical, insufficiently accurate and limited in application. The purpose of this Activity is to develop calibrated theoretical models to predict significant deterioration in the structural strength of buried pipelines on the basis of established scientific principles. The outcome of Activity 3 will be the development and calibration of a realistic predictive model for pipe corrosion in soil. Associated with this outcome is the collection of data sets for measured pit depths and associated soil conditions, covering a wide range of climatic conditions. 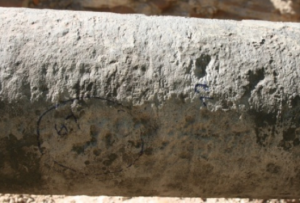 Current work includes application of 3D imaging techniques, such as photogrammetry, to characterize the surface state around the circumference of selected pipe sections provided by Sydney Water, and determination of the effect of soil conditions (including moisture content, soil type, soil water chemistry) on corrosion rate.